Removing the plastic cover over the valve cover is routine work for BMW maintenance. 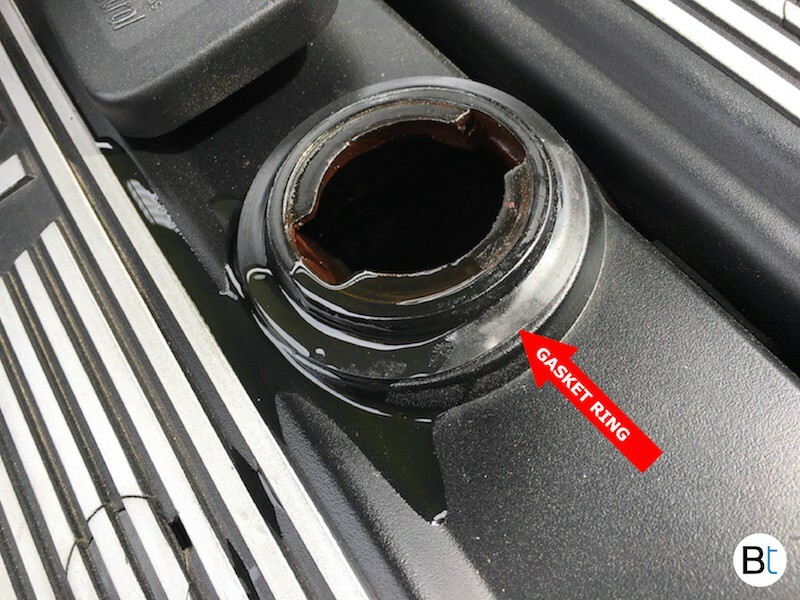 If upon removal there are traces of oil over the coil packs or down in the spark plug openings, there is a great chance there is a missing or cracked rubber gasket ring around the filler opening. When topping off your engine with oil it is common to have some spillage around the filler in the valve cover. There should exist a rubber gasket ring around the opening. This ring seals between the metal valve cover opening and the plastic cover. Often times this seal is completely missing or it is cracked, preventing a functional seal. 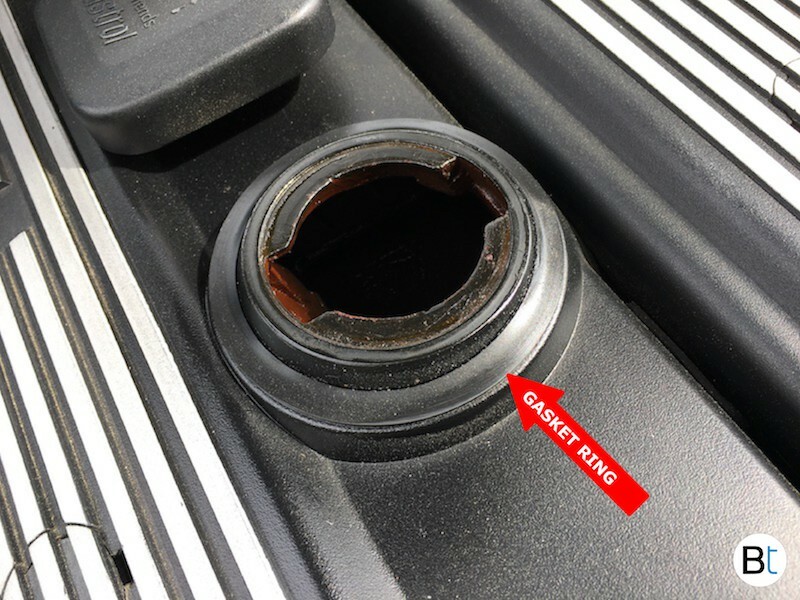 Some owners may not notice this gasket ring is missing and some may not realize it should be there to begin with. Either way, luckily the replacement ring is cheap and easy to install. Your local BMW dealership should carry the part or any online parts dealer. You will have to remove the entire plastic cover for proper replacement/installation but once completed you will be glad you did. Ensuring a proper seal around the oil filler opening prevents debris, oil and moisture from entering the top of your valve cover. Under the plastic cover is critical engine components that could be damage and need to be protected. The oil cap itself also has an o-ring on it to seal against the valve cover when tightened down. 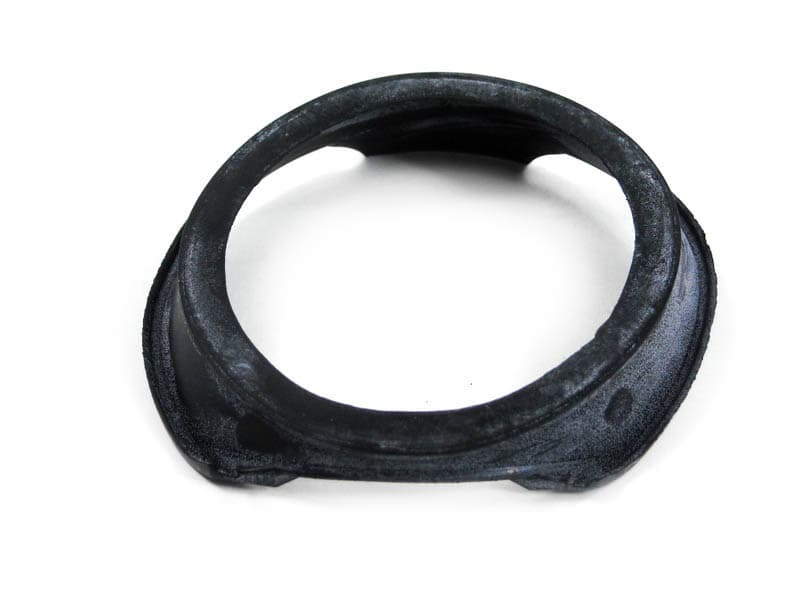 When removing the oil cap, it is recommended to place the cap on a rag face down. This will allow oil to drain off of the cap and onto the rag, preventing oil from seeping under the oil ring on the cap. If oil seeps under the cap while upside down, the oil can seep out onto the valve cover once installed right side up. What is the BMW part number? What BMW models / engines will it fit?